Be Found! Get More Website Traffic! We help with Wisconsin search engine optimization and we can work for clients both in the Madison, WI area and for clients in other areas as well – including all over the world. We have clients all over the United States and in some other countries. All it takes is phone call and we work well over email. A new website is like getting a new phone number. Just because you have a phone number doesn’t mean that it will ring. You have to promote it. The best and prettiest website in the world is essentially useless if people cannot find it. And the largest part of “getting found” has to do with Search Engine Optimization (SEO). Years ago, you just placed an ad in the Yellow Pages and you were done. You thought about it once a year (paid for it monthly) and the phone rang – you got business. Simple, right? Today, every website owner needs to be a content publisher, marketing expert, promotion guru and keep up on the latest methods and strategies for doing it all the right way. For most business owners, they don’t have the time to do it. It doesn’t fall into the daily list of tasks to complete. They can’t afford to hire a good, skilled expert who can do all of that the right way and be effective. In North America, the three most utilized search engines are respectively Google, Bing and Yahoo. But since Google has four times as many monthly visitors as its nearest competitor, virtually all SEO experts tailor their efforts toward that search engine. SEO is not a single element in website design. For your website to be easily found by search engines, SEO considerations must be integrated into its graphic design, information architecture, content, coding, and programming. Google search algorithms are greatly affected by the way your Web pages are configured, how those pages are linked, and the amount of copy on each. The number of keywords within that copy is yet another factor, and so is the relative speed by which your website downloads. Given these considerations, the graphic designers, copywriters, coders, programmers, and engineers designing your website must be expert in SEO considerations not only relative to their own expertise, but in relation to each other’s contribution to your website. SEO considerations are also one of the major reasons that website development can no longer be a “one person show.” Multiple areas of expertise are required to get the job done correctly. The solution is to hire experts to do the work for you and that is what Webstix can do. We can handle your website search engine optimization (SEO), pay per click (PPC) marketing, content development and social media promotion. We have the expertise to get this done, get it done right and get you rankings and traffic. SEO (search engine optimization) is the process of optimizing a website to rank higher than your competition on the best keyword (and keyword phrase) search results. The result is more traffic to the website. And all of this takes time to accomplish. It’s a lot of technical, grunt work that most people either don’t know how to do or do not want to do. When you make a change on your website one day, it can take a week or more to see the results of that change. Before SEO is done, the website should be evaluated and more or different calls to action should be added to get more conversions with that website’s current/existing traffic. The benefits of this are that the website gets more conversions (leads and sales) right away and then even more when you send more traffic to it. SEO development must be an integrative process to be successful. Having built hundreds of websites since our founding in 2001, we have developed systems and procedures to ensure that SEO considerations get built into the DNA of your new website—from its initial ideation to its eventual launch. The first thing we’ll do is evaluate your website. If we didn’t create your site, then there’s a lot to look at – many, small details. We’ll get you a quote on adjusting your website so that when we do start promoting it, search engines will like it and it can best convert website visitors into customers. Often, after getting a number of things fixed, there’s a bump in rankings and your website starts converting better with the traffic you already have! There’s even a change we can make to most websites’ home pages for about $450 that often has a huge impact on rankings. You do this thing once and it keeps working for you in the future with higher rankings that is something Google actually wants you to do with your website. Doing proper keyword research is like taking a reading on a map. It’ll give us a path on how to get the website ranked and for which terms. Without this, a lot of work can be done but you won’t end up where you need to be. We’ll focus on specific keywords that are good for immediate traffic and other keywords that are more competitive for long-term, organic SEO. Ideally, the best bang for your buck are longer tail keywords that get traffic and have low competition. What you want to stay away from are SEO companies that get you top rankings for keywords that nobody is searching for. We’ve seen these reports. They look impressive but sooner or later, business owners realize that they’re not getting any more traffic or leads. The next step is to evaluate your top competition. If you’re a football team, you’re going to study your competition so that you know what you’re up against and then build a strategy to beat them. Without this step, you’re aimlessly trying things that might or might not work and it’ll take longer to rank. Once your website has been set up correctly, keywords have been researched and your competition evaluated, it’s time to put together a monthly SEO contract. This contract will typically run for either 6 or 12 months and have a budget starting at $2000 per month. It could be more depending on your competition. When doing SEO, you just don’t do a bunch of things at once and wait for results. You want to start with 1-2 things, wait for results and then adjust the plan and do more. We know what will work but each bit of work done must be measured. This is why contracts need to go for 12 months but we do work with clients on 6 month contracts occasionally. Every month, you’ll get a report showing your keywords, rankings and website traffic. We’ll update the keywords list for you as well. You can use this list as a guide to writing content if you also plan on working on some content yourself (let’s work together on this). Off-site SEO is crucial, but it must be done carefully. 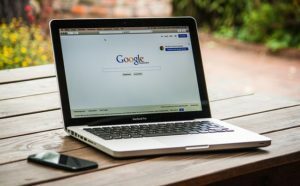 If Google algorithms sense that your links are bogus, contrived, or otherwise problematic, your website can be “sandboxed,” meaning that Google will ignore it—even for a considerable time after things get fixed. To put it mildly, Offsite SEO is not a task for amateurs. 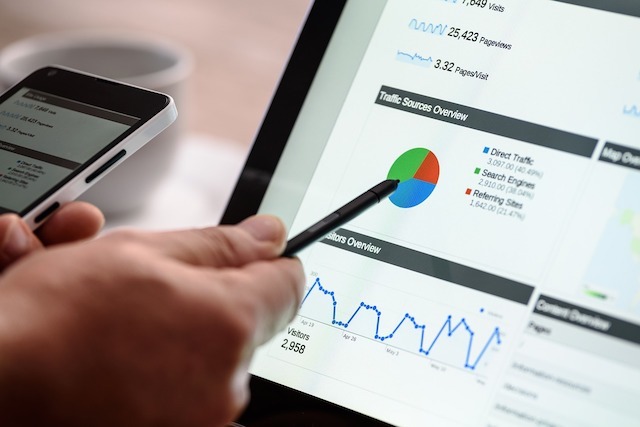 We offer extensive expertise and experience analyzing analytic data for search engine optimization—both for the websites we build as well as for those built by others. We also have access to proprietary measurement tools for conducting more in-depth and sophisticated statistical analyses of your website’s online presence so as to monitor and adjust your SEO strategy and tactics. Contact us today to learn about our contracted SEO services in Wisconsin, which can include page optimization, keyword research, content development, and other SEO services according to your needs. 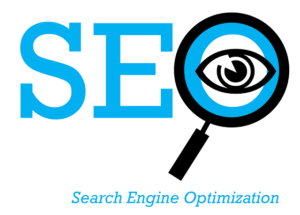 Our SEO Firm in Madison, WI has on staff SEO specialists who will be working on your website. Each website created by us incorporates the most recent technology and techniques that allow your website to be fully optimized and found on the search engines — a search engine friendly web design. Since an overwhelming majority of all searches are done through Google, it is the search engine we prioritize. As we begin to design your website, we will discuss the keywords for your organization. Additional research is then done by Webstix to verify the effectiveness of these keywords / key phrases. The results of this in-depth keyword evaluation are incorporated into the design of the website as well as the way the website is structured and coded. Placing keyword-rich text on web pages won’t increase search engine visibility unless crawler-based search engines can easily access that text. A website’s design, page layout, navigation scheme, and information architecture are just as important as search engine friendly copy. From the start, the pages of the site will be created in such a way that the site will receive a good ranking in the search engines. This is a foundation-up type of approach that we believe is essential for long term results. In the Production Phase, all eight aspects are included but with special focus on keyword selection, site structure, HTML validation, internal linking and submissions. Your website is set up correctly from the very start. First, it doesn’t cost anything extra on our end to set things up right the first time. Every ounce of experience and knowledge that we have is incorporated into each website that we create. Secondly, even though the level of maintenance, and the cost thereof, will vary greatly between different industries, products and services, we know that you, as our client, will benefit from having a website that’s set up and structured correctly from the start. We will also hand-submit your website to the top 10 website directories. It will also be submitted to local website directories (if available). The site may be listed in the on-line portfolio of Webstix as well. Note: Do not get any kind of service that submits your website to thousands of search engines and directories. This could very well backfire and get your listing on Google delayed for up to a year. All websites that are hosted by Webstix will also have an online statistics page setup at no extra charge. This is a page where you can go and get up to date information about how many people visit your website, what the most popular pages are, etc. (see our separate Server Statistics Fact Sheet for a complete list). All the information you need is shown graphically which makes it easy to use and understand. We also set up all websites that we create with Google Analytics, which is a comprehensive web stats program with excellent reporting. As a result of the initial knowledge gained during the Production Phase and as we monitor the ranking for your new website, a long term strategy will be developed and outlined for the second phase, which is the Maintenance Phase. We’ll work with you to come up with a plan that will meet your needs and one that works within your budget. Long term SEO success will ultimately be based on relevant content, competitor analysis and a continual tweaking and monitoring of all the eight categories outlined above. Also keep in mind that the web is always changing. New websites come online (your competition), rankings change as new content is added on other websites, new links are created, etc. To stay on top of your rankings, your website needs to be monitored weekly. As you compete for better rankings, your site will most likely need to be changed, improved and tweaked in one or all of the eight categories. The purpose of the Maintenance Phase is ultimately to begin implementing the strategy that is a natural outcome of the Production Phase. This means that proposals that include SEO work are just for the Maintenance Phase and are only preliminary in terms of the overall cost. Beyond the basic monitoring any other monthly costs, there should be a long term strategic plan to improve your rankings for specific keywords. Since each organization has different needs, it’s not possible to give an estimate without first having gone through the Production Phase. Monitoring and evaluating competitive websites for SEO strengths and weaknesses. Recommend changes to website content (long term, it’s content that will drive your website to higher rankings). Implement recommended changes as time and your budget allows. If we feel more time then four hours is required in a given month we will notify you and seek approval for any additional work. Are we or you developing the relevant content and copy? This would be any website ranked higher than yours that we’re trying to rank higher than. There are specific reasons why they are higher in the rankings and understanding those reasons will help us compete with them. Assuming that your website is structured correctly and designed well, for the long term it is ultimately your website’s content that will influence your rankings the most. The required copy can be developed by you or by us. If you, as part of your strategic plan, choose to develop your own copy, then Webstix will work closely with you to make sure the content you provide includes the keywords and phrases that will help you the most. If you would like Webstix to do more than just consult, then you should consider our Marketing Communication services. What’s more, the copy we create is done with Search Engine Optimization in mind and we work closely with you to develop, not only great copy, but also content that will help your website rank higher. Do We Guarantee a #1 Ranking? And you should not go with a company that does… no way. If you do, then you’ve just given them consent to do whatever they want or need to do to get your website ranked #1. That includes tactics that Google would definitely label as being questionable and trying to cheat. Sure, that might for a little while but when Google catches on to what you did, your website gets slapped and, at that point, it’ll cost you 10 times as much (or more) to recover. You may even need to start a new website on a new domain name with new content and everything. Never, ever hand over the keys to your website to someone that guarantees you will rank #1. Never. Our goal is to help your website rank very high and get you the traffic you deserve. We believe we have the knowledge, experience, and proven track record to accomplish this goal. We don’t promise results overnight (and you should be careful of any company that does), but we work with you over the long term so that your ranking is long lasting and true. We see Yellow Pages companies selling SEO. We see radio stations selling websites and SEO. We see outdoor advertising (billboard) companies selling website promotion. Printing companies are even doing it! Why would you buy from them? Would you buy billboard advertising from a website design company? Work with the experts on website design and promotion… Webstix! Working with Webstix for SEO Services in Madison, Wisconsin is simple – just leave it to us. We know you have a business to run and you don’t have time to learn about website optimization and all that geek stuff. If you would like to get started or if you have questions, please contact Webstix today and let’s get traffic to your website!